This is my go-to soup. I make it at least once a month, I think the reason I crave it so much is because it has all of my favorite ingredients in it and it has the most incredible flavor. I hope you enjoy this soup as much as I do! I always keep the noodles separate when I am making soup so they never get soggy! Start by grabbing a large soup pot! 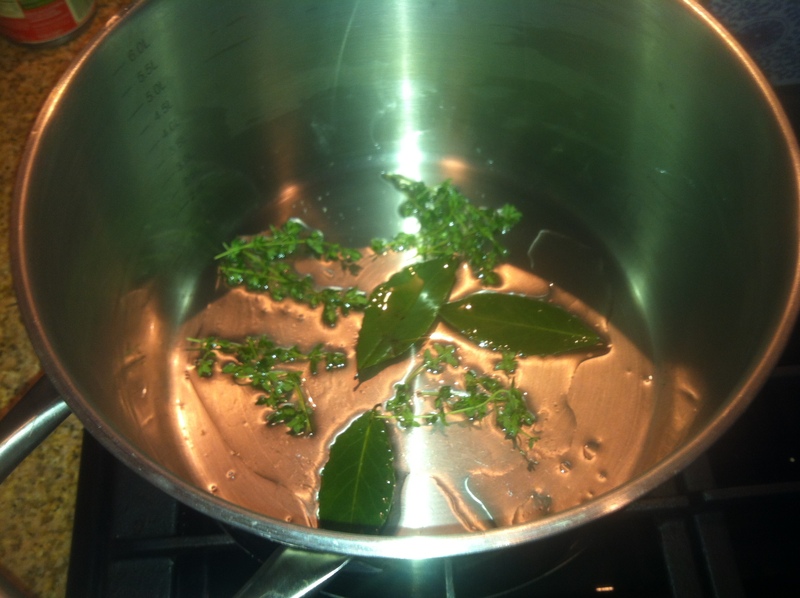 Put in the canola oil, bay leaves, thyme and rosemary. Cook over medium to low heat for about 5 minutes to let the flavors infuse into the oil. Add the onion and stir frequently for about 10 minutes until they have softened, add the garlic and cook for 5 more minutes. 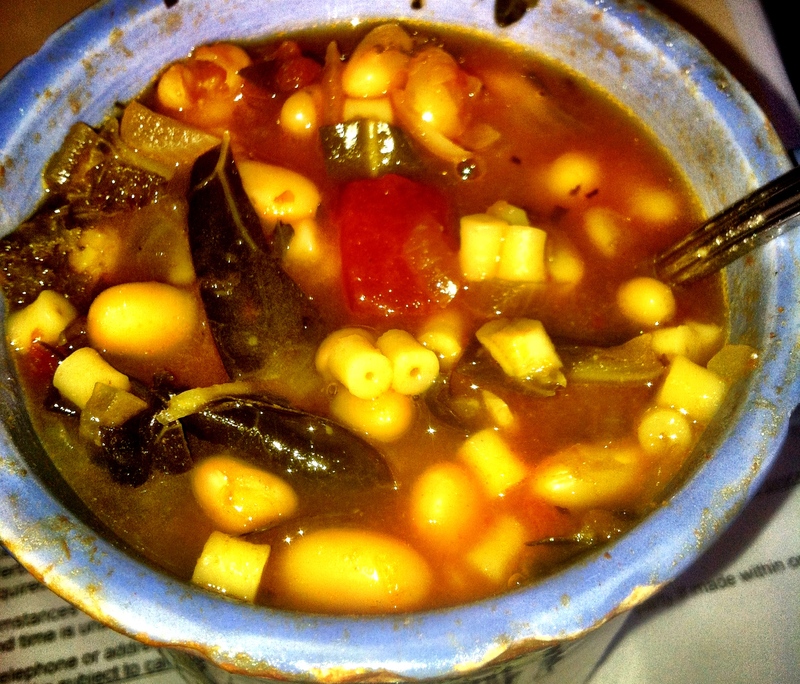 Pour in the rinsed beans, tomatoes, broth, collard greens, and kale. Add the oregano, basil and salt and pepper. Put the lid on and let cook for about 45 minutes to an hour stirring occasionally. Feel free to add more herbs, salt and pepper to get the desired flavor! In the meantime cook your desired noodles according to the directions on the package. Shock with cold water once they are done and set aside. Once the soup is finished pour into a bowl and add the noodles! Just made this last nite. Delicious!